こちらも「Ha‘ina mai ka puana la」と同様に、定番のフレーズなのでしょうか? 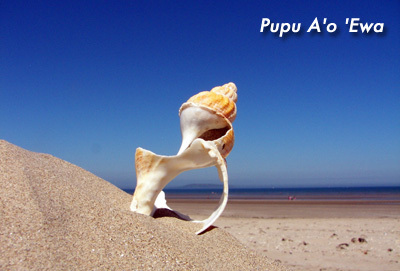 did Tia Carrere ever record “Pupu A’o ‘Ewa” ? And if so, I would love to purchase it. It is not found in the album of Tia Carrere. I also want to hear that very much.